Blood platelets. 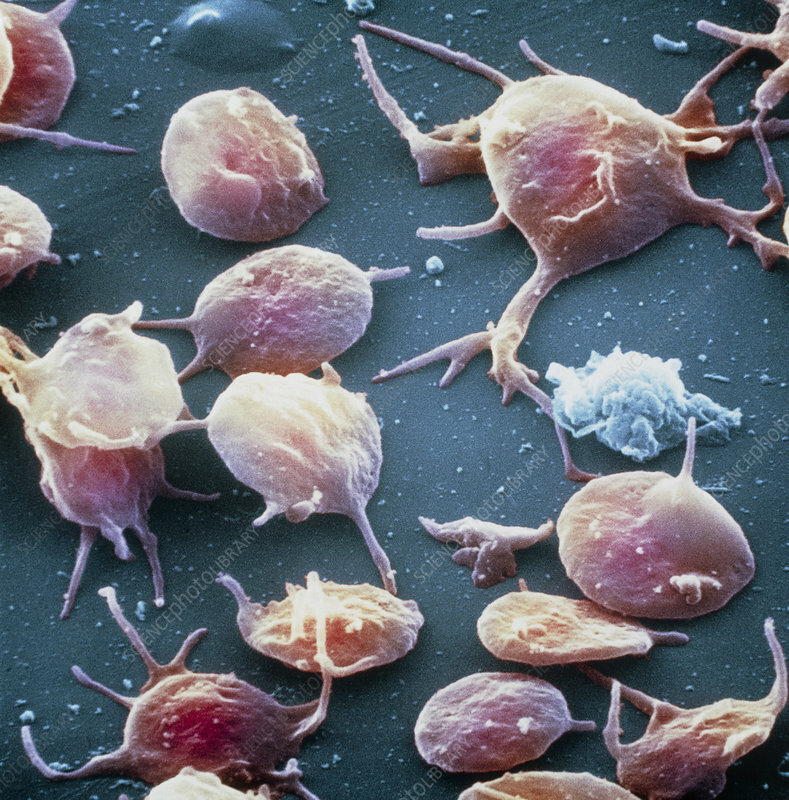 Coloured scanning electron micro- graph (SEM) of activated blood platelets. Platelet cells (thrombocytes) are formed in the bone marrow, and circulate in the bloodstream in large numbers. When unactivated they are round/oval, whereas activated platelets develop pseudopodia or extensions from the cell wall as seen here. Platelets function in two ways: they plug defects in the walls of damaged blood vessels, and they are involved in the clotting of blood. They also release serotonin which constricts blood vessels. Magnification: x3,300 at 6x6cm size.